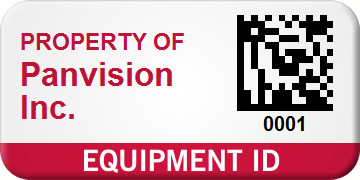 Don’t lose track of your equipment. 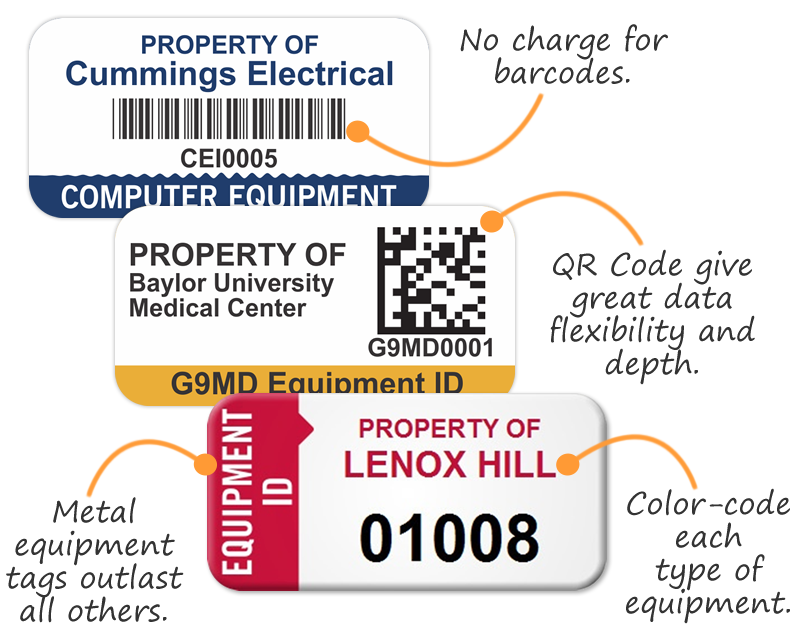 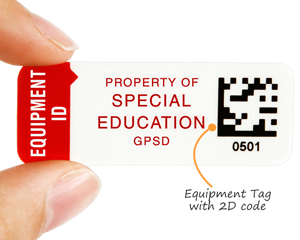 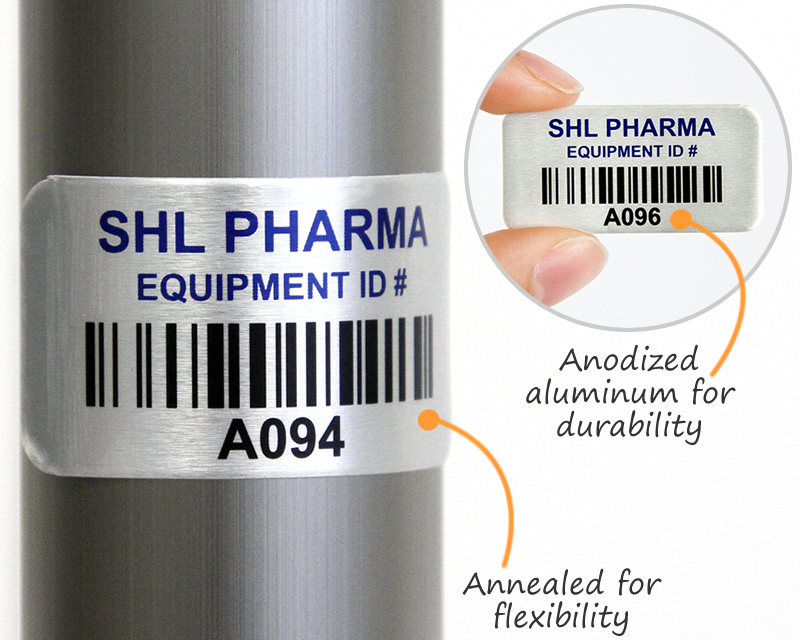 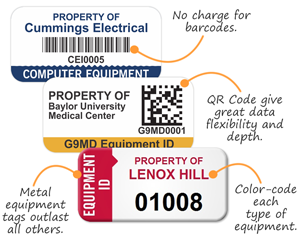 Durable metal or plastic Equipment ID Tags have sequential barcodes or numbers. 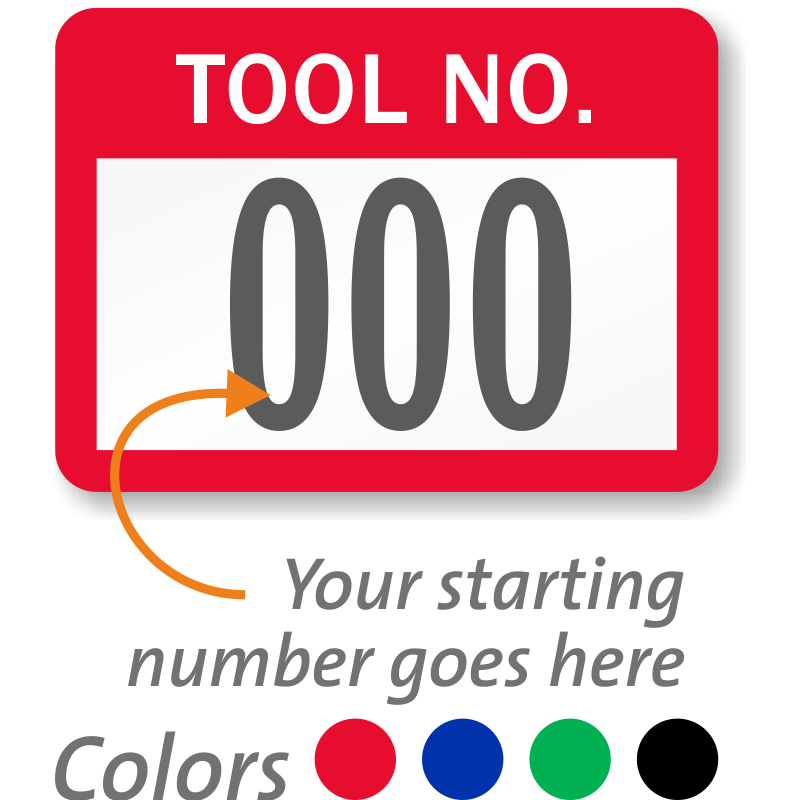 • Customize and choose your own starting number, or personalize a template with your text and design. • Modular designs allow you to swap out headlines and colors. 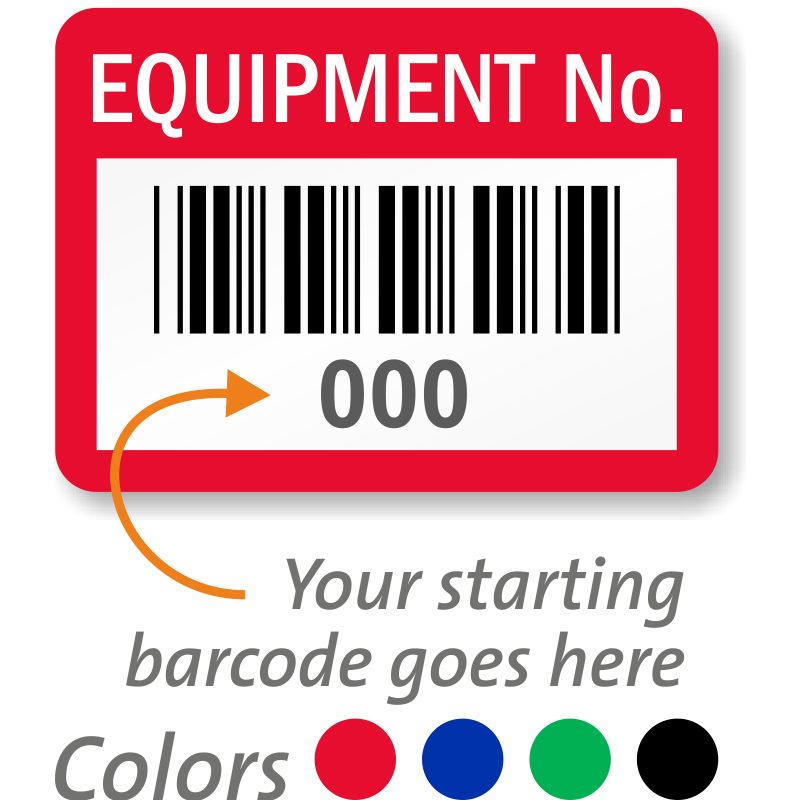 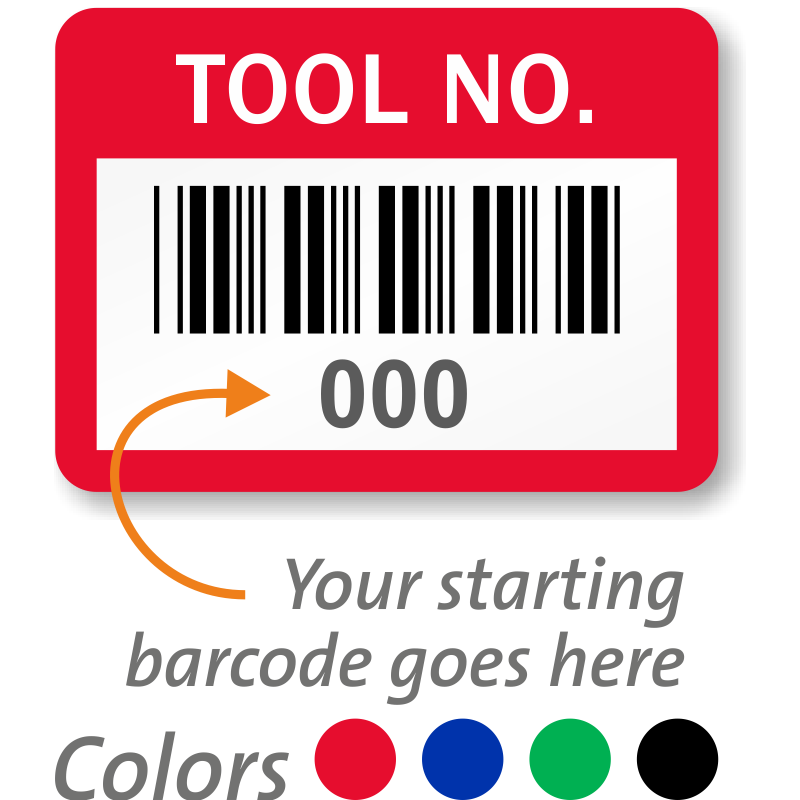 You can color code by equipment type or purchase year. 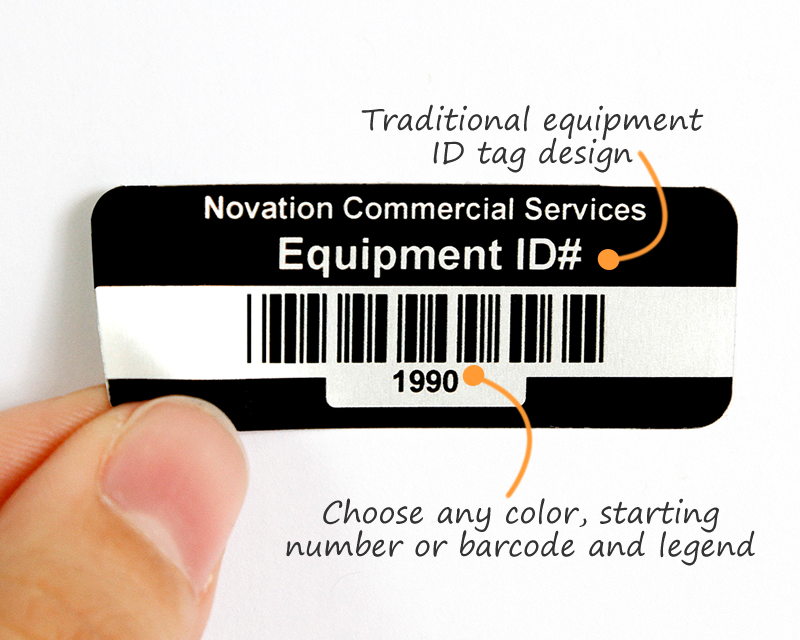 • Metal tags will last longer than your equipment. 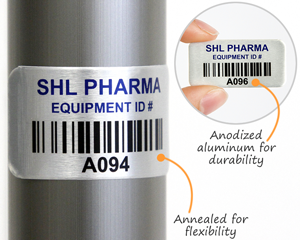 Anodized aluminum features graphics that are sealed into the diamond-hard anodic surface of the aluminum. 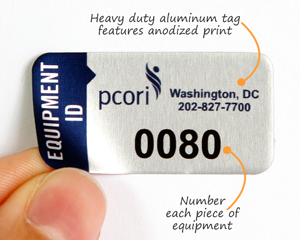 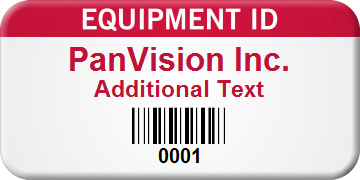 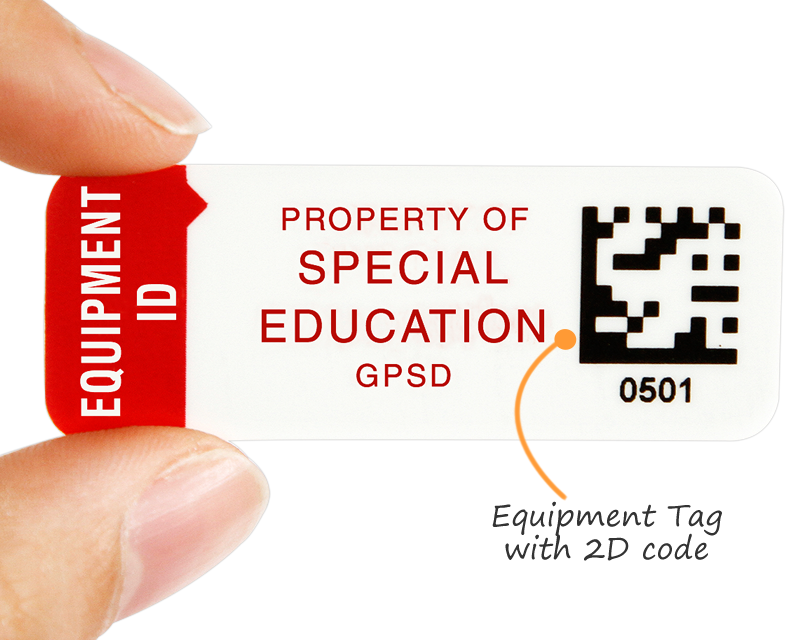 • For budget-conscious companies, consider our range of in-stock Equipment Tags. Creating custom asset tags and labels was never this easy. 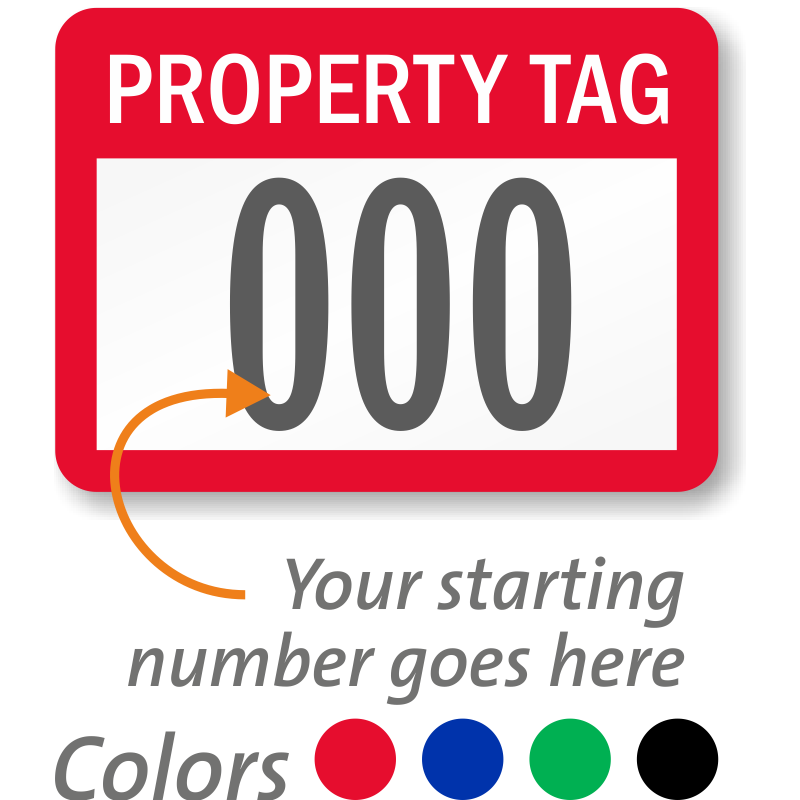 Add your logo at no extra charge! Select one of these affordable stock designs. You may select colors and starting number. 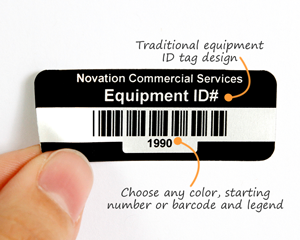 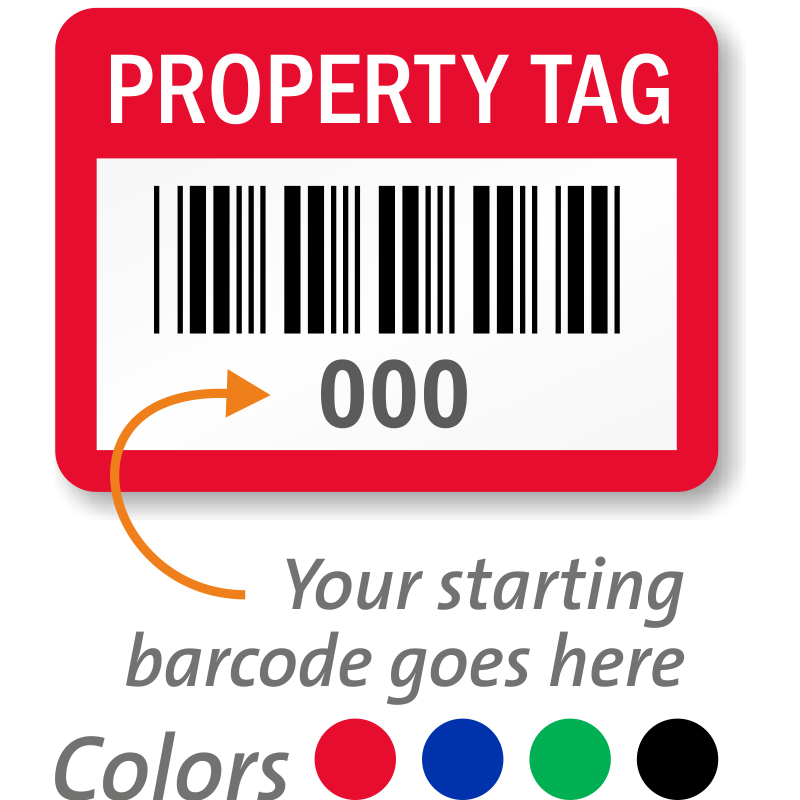 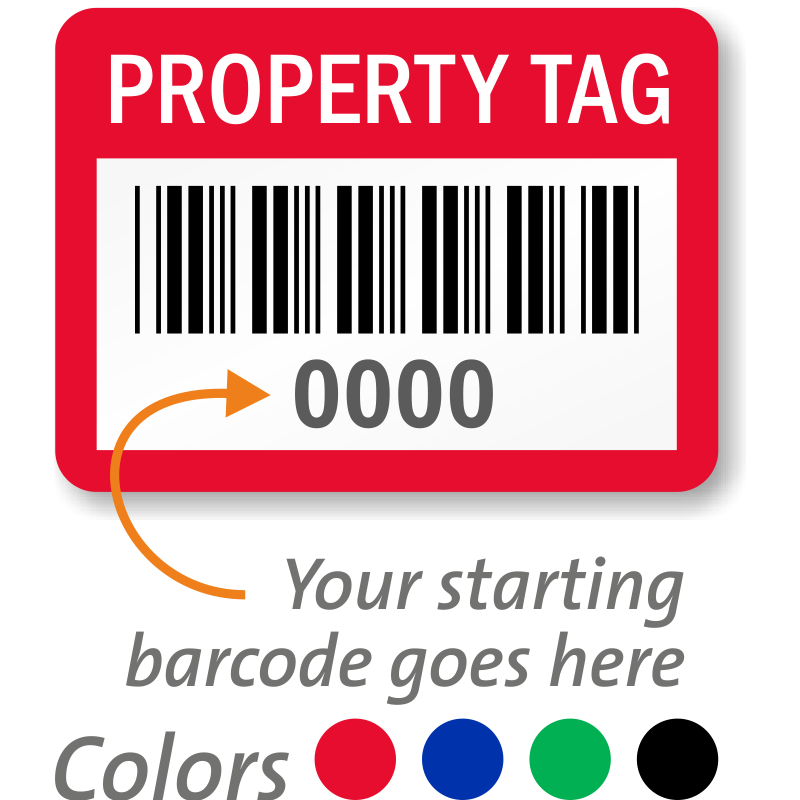 For a greater range of in-stock tags, click here. Asset Number - Prenumbered Labels, 0.75in. 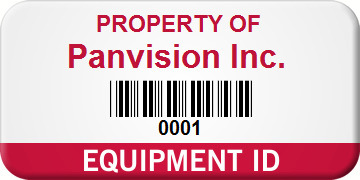 x 1in. Asset Number Labels, 0.75in. 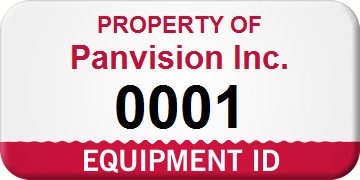 x 1in. ID Number Barcode Labels, 0.75in. 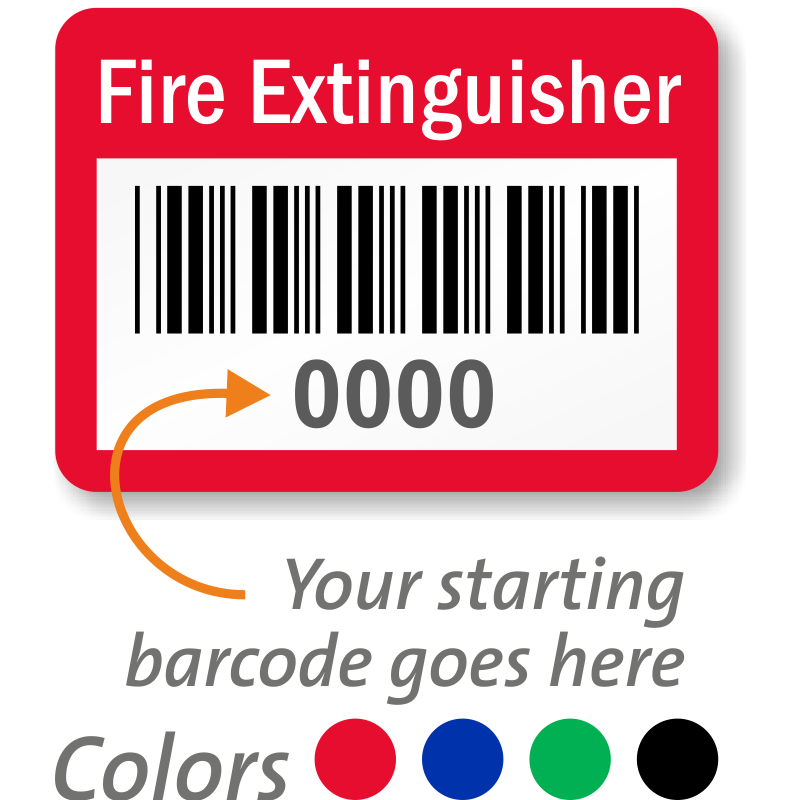 x 1in. ID No. 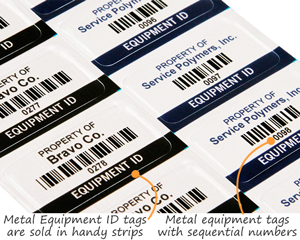 Consecutive Numbered Labels, 0.75in. x 1in. ID Number - Prenumbered Labels, 0.75in. 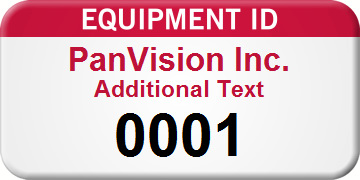 x 1in. 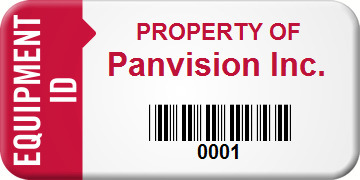 Property Tag Consecutive Numbered Labels, 0.75in. x 1in. 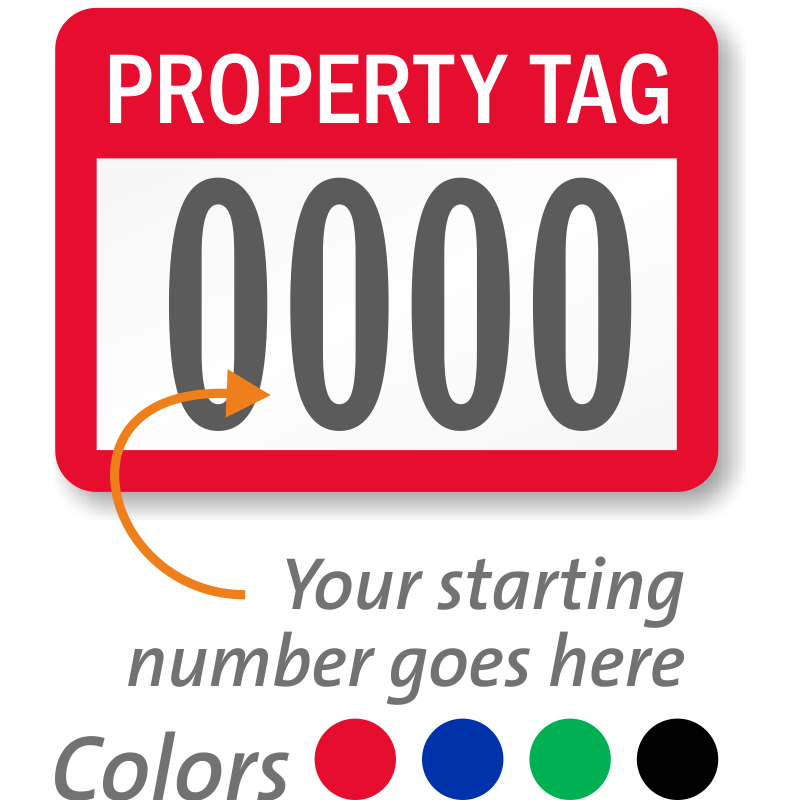 Property Tag Prenumbered Labels, 0.75in. 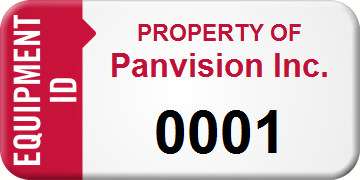 x 1in.